If you could change one thing in your life... What would it be? Are your relationships painful, confusing, or just plain unsatisfying? Do you feel like you're just "going through the motions?" Is your anxious mind driving you crazy? I invite you to learn more about my work by listening to this interview where I describe how I orient in my practice with my clients. Please also feel free to watch my introductory video below. Thank you for visiting my site! If any of these are true for you, therapy and/or relationship coaching may be what you're looking for. I would love to work with you. 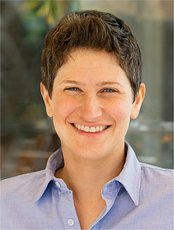 I'm Jill Rubin, licensed clinical social worker and relationship coach. I've helped hundreds of people to achieve great results in their emotional/mental/physical health and well-being, as well as in their relationships with friends, co-workers, and loved ones. I welcome you to call me for a free consultation. I invite you to explore my website, give me call at 805-623-4177, or book a free consultation to start experiencing it for yourself! Skype/video and tele-coaching sessions are available in addition to in-person sessions. Skype/video and tele-coaching sessions are available in addition to in-person sessions. "Your optimism and compassion are contagious, and I’ve already begun to think differently about what’s possible. Thank you." "Jill Rubin is a great coach. She's helping me with an area of my life that has felt stuck for years. I thought I'd give the coaching a try but I really didn't expect the huge, sudden effect it's had on my life. I've started making some much-needed changes and am feeling excited rather than stagnated and stressed. What a turn-around. I'd definitely recommend her."